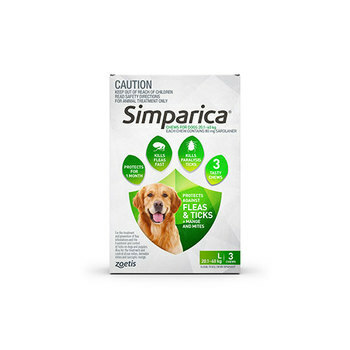 Simparica is a safe, monthly chewable for dogs. Kills ticks and fleas fast reducing the chance of illness and paralysis. Proven protection for 35 days. So if you're a few days late you're still covered. Safe for your puppy and It works fasts & lasts. Simple.